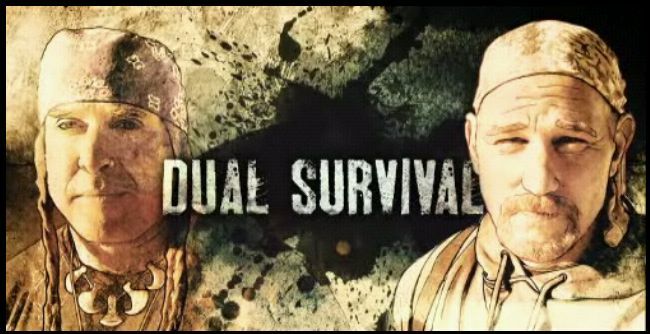 If you missed the beginning of the new season of the soap opera survival show, Dual Survival, you may be wondering why Cody Lundin wasn’t in the latest episode. That’s because Cody got fired. That’s right, people. Everyone’s favorite no-shoe-wearing, tree-hugging hippie is no longer on the show. I know, it’s devastating. And I’m thinking all the same things you are – Cody Lundin was the best and this is crazy news. How did this happen? Can the show survive without him? Below is a breakdown of the drama on set and my reaction to the new host of Dual Survival. First, we lost Dave Canterbury, who was found guilty of fabricating the truth on his original resume sent to the Discovery Channel. [Hear Dave admit the truth and share his reasoning behind the act in this public apology to his fans.] I was devastated over the loss of Dave because I truly enjoyed the chemistry and hostile banter between him and Cody. The two were constantly name-calling and bickering about how to do things the “right” way but they always worked collaboratively and as a team, complementing each other with their varying skills in nature. In Season 3, Joe Teti, former U.S. military soldier and special-ops operative, replaced Dave on the show. Joe, a total Type-A personality, likes to do things his way and only his way, and he clashed immediately with Cody Lundin. At first, I enjoyed having the comic relief of the bickering sans Dave but Joe was harsher and more judgmental. He didn’t seem to value Cody’s talents or opinions and their arguments were fueled by anger and annoyance. The pair lacked the camaraderie that was so present between Cody and Dave. Cody and Joe wrapped up Season 3 and began filming a new season late in 2013. Season 4 is focused on surviving in the most intense and dangerous situations in the world. Unfortunately for us, Cody only made it through the first three locations (Sri Lanka, Arabian Desert, and Norway) before he was “let go” from the Discovery Channel. 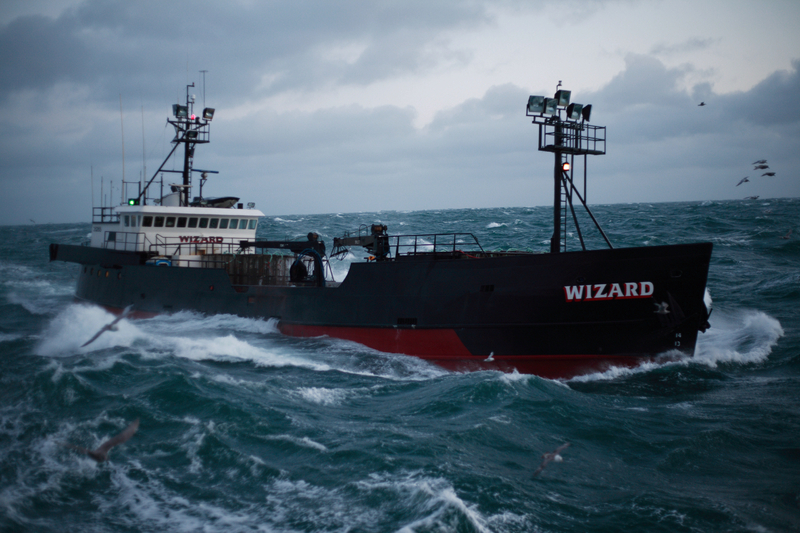 Cody’s firing came after a clash between the hosts while filming in Norway. Cody, who hasn’t worn shoes in 23 years, upset Joe by wearing wool socks in the deep snow. Joe felt like Cody was “jeopardizing their mission and Joe’s safety” and screamed at Cody during a meltdown over differing opinions about a shelter location. [Check out the “fight” here.] While it was evident that the hosts were clearly upset with one another and were slinging insults and shouting expletives, they seemed to come to terms by the conclusion of the episode. In fact, if I didn’t already know that this was “the fight” I would have never deemed it worthy of a firing. But alas, Cody was canned and Joe met his new partner in last night’s new episode entitled, “No Man Is An Island,” filmed on a remote island in Panama. 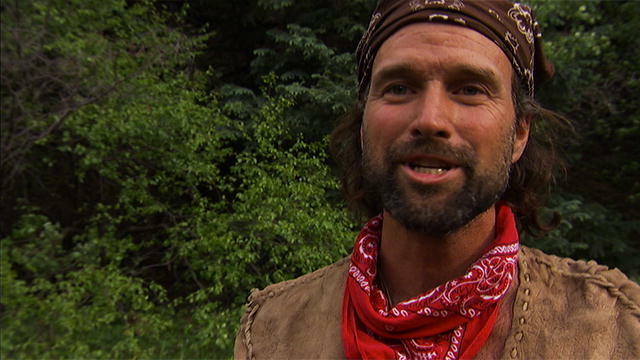 The new host of Dual Survival is named Matt Graham, formerly on Discovery’s Dude, You’re Screwed. Matt is a contemporary Stone Age expert and lives off the land in the wilds of Utah from the middle of winter to the middle of the summer every year. He is an expert in hunting and gathering, building fires using primitive methods and is trained in hunting with an atlatl and bow and in Judo, Tae Kwan Do, Wushu Kung fu, and Jeet Kune Do. He also proudly revealed that he makes his own clothing (very little clothing, I might add) and sandals from natural, organic materials. He’s a smokeshow (sorry, I’m not sorry for saying it). – If the decision between Matt and Cody was based purely on looks, Matt would win over and over again. He’s gorgeous and I will certainly enjoy staring at him. He’s an expert at building fires. – This is critical because Joe has already proven to want to do everything but build a fire and really enjoys to hunt and kill animals. Cody built every fire on the show and it was critical that the new host had the same skill set. He’s not afraid to disagree with Joe. – First, he drank water directly from a stream, much to Joe’s dismay, and seemed to survive just fine. Then, he hunted a pig with an atlatl (like a boss) and scolded Joe for interfering and needlessly spearing the dying animal. He also referred to Joe as G.I. Joe. It was great. He doesn’t like to wear a lot of clothing and he rocks a beard. – This supplements my earlier point that Matt is a smokeshow. – Matt already taught the audience a new method of cooking raw meat underground and an easy way to make tea in the jungle. Even Joe was super impressed with his nutrient-filled hot water. – Sure, he makes his very thin sandals so they aren’t technically real shoes but still. As absurd and comical as it was to watch Cody tramp barefoot through swamps, snow, and deserts, I think he was the freakin’ man for making a choice and sticking by it for 23 years, no matter how much ridicule he received. He worked hard to do it and modified the way he walked to accommodate his choice (he walked toe-to-heel rather than heel-to-toe). Talk about dedication! The show feels like its Joe’s world and every other host is just living in it. – The big showdown between Cody and Joe was more like Joe screaming at Cody for not doing things the way Joe preferred and Cody, the host with the most seniority, losing his job over it. How long will it take for Joe to decide Matt doesn’t fit and we see another host lose their job? – When all is said and done, Cody Lundin was a brilliant survivalist and he taught me more about surviving in nature than any host on the show. I learned many different ways to build a fire and how to purify water, gauge the amount of sunlight left in a day, and gauge what direction is South based on foliage, all from the comfort of my couch. Ultimately, if someone has to replace Cody Lundin, Matt Graham is the perfect choice. He brings a uniqueness to the screen that counters Joe in all the best ways. He’s positive and happy and he loves Earth and what he’s doing. He is also brilliant and his skill-set, while similar to Cody’s, is brand new to the show and brings a whole new perspective and feeling. Matt will teach the audience plenty, and hopefully he continues to put Joe in his place while doing so. Be sure to tune into the Discovery Channel at 9pm on Wednesdays for brand new episodes of Dual Survival to see how things work out with Matt Graham and Joe Teti. Categories: TV | Tags: Cody Lundin, Discovery Channel, Dual Survival, Joe Teti, Matt Graham, nature, new episode, television | Permalink. Happy Sunday Funday! As three post college grads, we are constantly trying to find ways of entertaining ourselves on a budget…which led us to three pretty serious Netflix addictions. Netflix never fails to feed our addiction for finding movies we’ve never heard of, or filling our need to binge watch shows we missed or just want to relive. 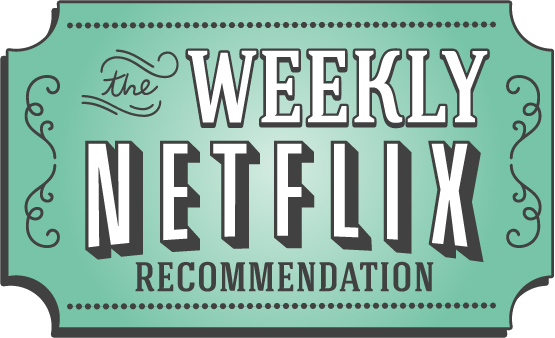 Each week, RPW will be posting about their Netflix finds. We hope you enjoy! Dual Survival is a reality TV series that airs on the Discovery Channel. The premise of the show is that two survival experts from completely different backgrounds – one a military expert, one a naturalist – get placed in dangerous survival scenarios and have to use their knowledge and the environment around them to survive. And to keep things interesting, the naturalist host, Cody Lundin, hasn’t worn shoes in 23 years. Yeah, that’s right – NO SHOES in 23 YEARS! You can view all of Season 1 on Netflix. 1. The dynamic between the hosts is hilarious. No one is more mystified by Cody’s desire to not wear any shoes than Dave Canterbury. While stress is running high, so is the name calling and nitpicking. Sometimes, the two hosts downright disagree and it’s hilarious. 2. You learn a lot about survival in the outdoors. From watching reruns of this season, I have learned how to start a fire with limited materials, how to judge the cardinal directions based on the sun and direction the foliage points, how to pick the best spots for shelter, how to sterilize water, etc. While I can admit to mostly watching this show for entertainment, the added bonus of learning survival tips that may potentially save my life one day is a big plus. 3. You see some of the most beautiful places on Earth. Season 1 survival scenarios take place in Nova Scotia, New Zealand, Peru, Laos, Brazil, and various places in the U.S. like the Louisiana Bayou and the Washington Peninsula. And Cody Lundin doesn’t wear shoes in any of them. The only Season available on Netflix right now is Season 1. But by Season 3 (which just finished airing on Discovery this past March) the show had a new host. Cody Lundin is still marching across the world barefoot, but he is now accompanied by Joe Teti, not Dave Canterbury. After doing a little digging, RPW learned that Dave Canterbury was actually fired from Dual Survival after Season 2. Apparently, Canterbury exaggerated his survival experience and lied on his resume about his military experience. According to Cody, dishonesty is a big violation, and calls for grounds for termination. Categories: Netflix Recommendation, TV | Tags: Cody Lundin, Dave Canterbury, Discovery Channel, Dual Survival, Joe Teti, Netflix, netflix recommendation | Permalink.